Is jazzercise an excellent workout? Can it really help one lose weight? You might have asked yourself the mentioned questions if you’re still on the stage of deciding whether you should try jazzercise for weight loss. The answer is actually a yes. It’s a great workout, which lets you shed excess pounds. Get to know more about it and how can jazzercise help you lose weight through this article. Jazzercise is actually one of the most popular types of exercise regimen today. It’s a beat-pumping and pulse-pounding program, which provides quick results. It’s also a fat-burning workout, which allows you to enjoy a hip-swiveling dance party featuring a hot playlist. Such will distract you from the fat burning process. This means that instead of viewing the whole process as extremely exhausting, you’ll actually find it enjoyable. The good thing about jazzercise classes is that you’re not required to know how to dance or have a background in dancing. It’s because the classes come with a learning curve. You may find the first steps difficult, causing you to struggle with the entire class at first. However, note that those are only in the initial phases. Jazzercise is a learning process. It allows you to stay fit while also learning a new skill. Another great thing about the jazzercise classes is that they involve movements that suit the song structure. This can make the entire experience more enjoyable. How can Jazzercise Help you Lose Weight? Jazzercise is effective for weight loss. It’s because each class comes with a set of movements that target your entire body. Most of the movements involved in each class are high intensity. Working at the hardest level, therefore, can burn up to six hundred calories in just one hour. Jazzercise is not only about aerobic fitness, though. It also provides participants with proper strength training. Before, the class involved the use of exercise ropes and balls. While you can still find classes today that use them, the majority are using resistance bands, bodyweight exercises, and free weights. Jazzercise might also require you to do bicep curls, crunches, and push-ups, among other types of strength training exercises. With that, you can expect to work out all your muscles, thereby strengthening them. 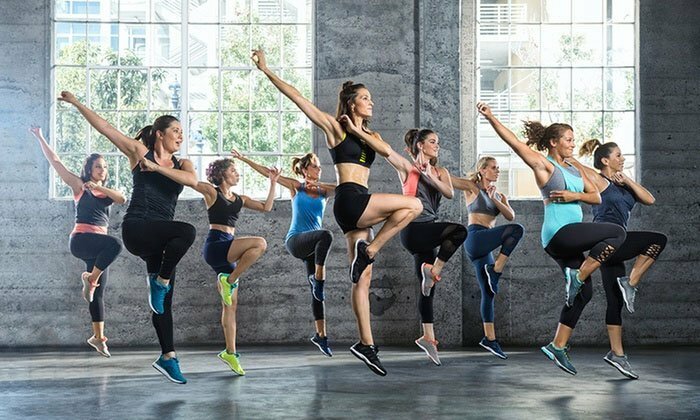 The good thing about strengthening your muscles and building leaner muscle mass with the aid of jazzercise is that it can further maximize the ability of your body to burn calories and fats. That said, jazzercise lets you lose weight by toning your muscles and burning fats at the same time. The routines are also more than just dancing. They target all your muscle groups in such a way that you’ll find the entire process fun and enjoyable. Furthermore, each class does not just linger on one area for half an hour. It involves one song, which usually takes around three minutes, and allows you to target one specific area during that period. This is beneficial if you want to push yourself harder and prevent the risk of cheating on your workout. Jazzercise has different kinds of classes but you can expect their focus to be on the specific thing that you want to achieve. While others want to focus more on core strength, there are those who want to focus more on achieving an HIIT workout. Jazzercise can offer that. Most of its classes will last for sixty minutes while others can be completed within thirty minutes, all of which are enough to give you a good workout designed to help you lose weight. All classes also come with cool-down and warm-up exercises, thereby preventing you from suffering from injuries. Lowers your risk of developing heart disease – Taking up jazzercise classes that often take around 30-60 minutes can reduce your risk of developing heart disease by up to 50%. The workout can strengthen your heart and pump more blood with minimal effort. It can also lower your blood pressure. Elevates your energy – It’s ironic but expending energy by exercising can actually cause you to produce more energy. It can get your blood pumping, making you ready to tackle your busy schedule. The good thing about the increase in energy you get from each class is that it can also boost your productivity, allowing you to do more things in just less time. Strengthens your bones – This is all thanks to the ability of jazzercise to strengthen your muscles. Having strong muscles also means that you can build stronger bones. Exercising regularly with jazzercise can also reduce your risk of suffering from broken bones. Lessens stress – Jazzercise is actually a fun and enjoyable form of exercise. Doing it regularly can lessen your stress by getting rid of muscle tension. It’s also possible to counter depression through this exercise as it works in releasing endorphins that can improve your mood and make you genuinely happy. What to Wear in your Jazzercise Classes? To get the best results out of jazzercise, especially in terms of weight loss, it is advisable to learn more about what you should wear in your classes. Wearing the right outfit and shoes is crucial in making you feel more comfortable in class, thereby allowing you to move more efficiently. One tip is to choose bottoms that are not too restrictive, making it easier for you to dance. In this case, go for an unrestrictive pair of shorts. Leggings and tights that perfectly fit into your body are also recommended. Also, you need to wear comfortable tops. You should be able to move freely and comfortably when wearing it. You can choose to wear a comfy t-shirt, a gym-specific attire, or a sports bra. Just make sure that it can really let you move with ease. Investing in the right Jazzercise shoes is also a must. You need to wear a good pair of shoes for Jazzercise as this can help you maximize the effects of the exercise. You need shoes that can enhance your performance – one that is comfortable, flexible, lightweight, supportive, and easy to dance with. With jazzercise, achieving your weight loss goals is possible. Just make sure that you’re fully aware of the entire program and its benefits before starting. Furthermore, you need to know exactly what to wear in each class to maximize its benefits.